Tornado M85 HD is an innovative and feature-rich High-Definition set-top-box (STB), specifically designed for deployment in IPTV and Video-on-Demand infrastructures. The product features H.264, MPEG2, MPEG4 and WMV/VC1 video compression, which allows it to deliver high quality video streams over IP networks with low bandwidth utilization. Tornado M85 HD supports High-Definition video up to 1080i resolution which offers a more exciting viewing experience, especially on large format TVs. Additionally, Tornado M85 HD features a myriad of popular information and communication services, including Web browsing, calendar, YouTube, chat, email, Picasa, Google Maps, calculator, stock quote information and more. Virtual M85 Demo TV Interface. 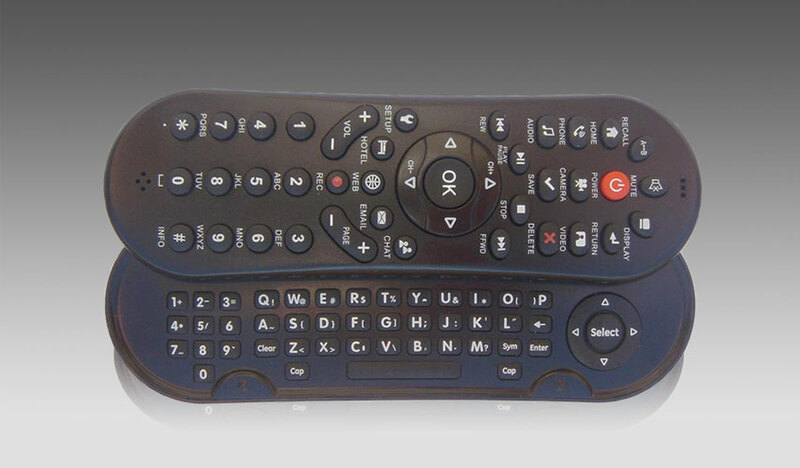 Click on the above picture to preview all M85 TV functions. The STB can operate in several modes to allow universal device deployment: Multicast mode allows deployment in closed Local Area Networks (LAN) where all video/audio content is received in multicast format; Unicast mode allows implementation in Open Wide Area Networks (WAN) and Internet where the video/content is received from remote location and using secure and reliable network connections. The Unicast mode can be achieved using TCP or UDP protocols to guarantee maximum image quality and uninterrupted operation. To prevent interruptions, M85 also supports internal data buffering. 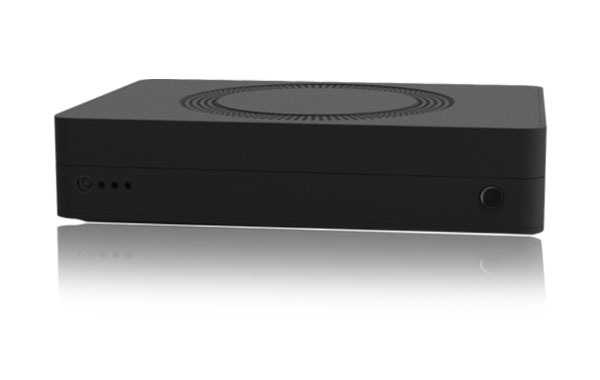 Tornado M85 HD offers delivery of streaming video content, including IPTV and Video-on-Demand (VoD) directly to the TV screens of end-users. The device receives H.264, MPEG4, MPEG2 and WMV/VC1 encoded video streams over broadband connections. It then decodes such streams internally and sends the resulting video signal to the TV set of the end-user. Tornado M85 HD also supports delivery of streaming audio content, enabling end-users to enjoy digital music and Internet radio channels on their TVs. The product utilizes high audio compression MP3 technology for maximum quality of the delivered audio content. Tornado M85 HD supports low bit-rate H.264 video compression technology which substantially reduces its bandwidth requirements. Compared to older video compression technologies, H.264 offers better video quality at substantially lower bit rates. Because of more efficient bandwidth utilization, Tornado M85 HD enables providers to reduce the cost of delivering services to subscribers. Tornado M85 HD also supports popular MPEG4, MPEG2 and WMV/VC1 video compression technologies. Tornado M85 HD supports High Definition (HD) video at resolutions up to 1080i. That allows it to deliver video with greater detail, realism and quality, especially to large format TV screens. High Definition video signal from Tornado M85 HD is delivered to the TV screen via either HDMI or composite cable. Tornado M85 HD enables end-users to browse the Internet while watching their TVs. The Web browser requires the use of USB keyboard and mouse. Tornado M85 HD supports an optional 8GB Flash PVR to allow subscribers to record and play favorite IPTV programs and VOD files. Full Trick-Play functionality is also supported. Tornado M85 HD supports a variety of web enabled services such as YouTube, Google Maps, Picasa, Chat, and Email. The system provides physical or virtual keyboard to access these services and fully interact with their interfaces. Tornado M85 HD supports an optional high-performance USB Wi-Fi adapter that can connect to any type of 2.4 Ghz network. In addition, the adapter supports AirStream functionality to allow IPTV distribution via Wi-Fi with high channel capacity and large number of subscribers. Tornado M85 HD offers to end-users convenient access to content stored on attached USB hard drive or USB memory. The device offers 2 USB ports that can be used to connect external storage to store and view video and audio data content thus providing data library services. When the end-user selects a file from that media library, Tornado M85 HD will play it on the TV. In addition, M85 has an integrated client that will allow Local PC computers to write and read data files from/to the device for media library management purposes. Tornado M85 HD supports the Dolby 5.1 Audio standard for exceptional sound quality. The Dolby technology allows up to 6 channels of surround sound to be delivered to end-users. An established standard for high end home theatre systems, surround sound is gaining wider adoption in modern IPTV systems. Tornado M85 HD supports progressive download to allow flexible and error free play of real-time and video files. The device will adjust its download bit-rate based on current network configurations to ensure that the IPTV will play flawlessly even in environments with non-guaranteed or traffic shaped networks. This procedure ensures perfect play in all types of broadband environments. Tornado M85 HD supports all popular streaming protocols such as FLV, RTSP, RTMP, UPD, HTTP, HLS, MMS, AVI, Progressive Download. The device ensures compatibility with most popular streaming servers in any type of unicast and multicast environment.